Hey, February started one week ago, and nobody wants to chat? Last Wednesday, my husband went to our local gas station. After fueling, he had a chat with the owner who's a friend of us. She suddenly said: "I'm sorry, I just see my daughter's leaving, and I need to tell her something important!" So she ran across the street to her house, stood behind her daughter's car - who didn't look into the rear-view mirror and ran her over. My husband just heard somebody screaming horribly, alarmed others and ran to the house. They could just see her hair but she was screaming (well, her daughter as well), so she was obviously conscious. My husband called the ambulance and told them that they might need a helicopter since she obviously needed to be taken to a trauma clinic. The men then tried to get her from under the car: they couldn't drive it since this would have injured her even more, but they also weren't able to lift the carwith their manpower. So they needed the help of thr local fire brigade and their equipment and manpower to lift the car, but when the ambulance arrived, the doctors were able to help her. That is horrible , I hope the woman makes a full recovery. It will take a lot of help for the daughter to get through this. I pray the God of Heaven be with them all. How terrible for all of them. I can't imagine the guilt that poor girl must be feeling. And her poor father. He's probably trying to stay strong for his daughter's sake. When they're ready I hope they get the help they need. At least he knows that his wife is healing. I think you're right, Carol. Her guardian angels were looking after her that day. What an awful accident Carol. Thanks for sharing with us Carol. Just reminds you how your life can change in an instant. Seems that both the mom and daughter are victims and both will need time and care to recover. You have to look on the bright side in that the mom didn’t die from her injuries. Think of the guilt her poor daughter would have had to bear for the rest of her life. Albert Finney has died. Very talented actor. ‘Two For the Road’ with Audrey Hepburn is a sentimental favorite of mine. Wasn’t he in ‘Oceans Twelve’ ... played Catherine Zeta Jones’ father? Yes, he was. He got his start in "Tom Jones", which is absolutely hilarious and one of the best movies ever. He was wonderful in that and almost everything else he did. /...and nominated for five Oscars - but never turned up. He lived in London (and was the son of a Manchester bookie)but always said it was a very long way to go for a very long party! Carolhathaway, I remember that movie very well. He was almost unrecognizable and his accent was hilarious! I saw him in so many movies, but I think my favorites are Tom Jones and Two For the Road. Is it just me or does the California Governor look like the "Joker"? PAN - Who's his wife? Lizzy, Jennifer Siebel is Newsom’s wife. George dated her briefly. She was an actress. I can only remember a couple of pap shots of them canoodling after a bike ride. Thanks, Donnamarie. Never heard of her. Me either. I suspect she's one of several old one-week stands. I remember George being photographed after a night out with one young woman, whose claim to fame was being a one-time cast member of a little-known reality show. Never saw her again, I'm assuming because he was simply keeping himself 'occupied' while between real girlfriends. The only bits of this one I remember are that she was a friend of Celine Balitran, they'd all been on holiday together - and George was livid when the paps caught them! Happy valentines day to all . PAN - He was such a baby in those photos! I do like the first one a lot, though - (the solo shot). 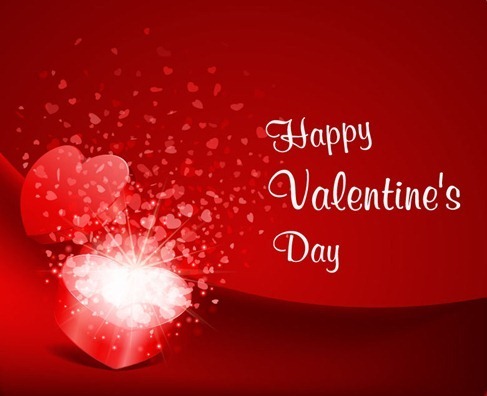 Wishing all a Happy Valentine's Day! Karl Lagerfeld has passed away he was 85. He is credited with saving the Chanel brand. Has anyone else had trouble accessing COH in the last day or so? I’m getting a strange page pop up saying this domain has expired and is pending renewal or deletion. I have gotten that page as well. Yep, me too. But I've gone to the next site down on that notification which works fine ....the one with the word forum at the end of it. Just had a pm from Annemarie - that's working too but to message back at the moment it all seems to be on the same page. So if anyone needs to reply to anything just go to the bottom of the message received - if that makes sense! This is driving me crazy and , since I have no patience, I just sent a pm to Katie to ask her what's up and plead with her to keep COH going. Has anyone else contacted her? I messaged her this morning. I haven't heard anything yet. PAN - Yes, that's the address I'm using. It's just that every time I see that message it makes me nuts. I keep thinking that the next time I try it won't work! I love chatting with all of you and don't want to lose the connection we have. You all make my life much more interesting and teach me a lot about the world - and George, of course! This morning when I clicked on the address that came with my COH alert my computer was "having trouble finding that address". Then I was sent to a site that said the address I was searching didn't exist! I tried a few different things before I finally got connected. I really don't want COH to go away. Does anyone have any ideas about how we can keep a connection if Katie decides to shut down the site? Just tried to open another COH alert and was diretcted to another site saying : THIS DOMAIN NAME IS UP FOR SALE!!!!!!!!!!!!!!! It's up for auction on Godaddy . WHAT DO WE DO?????????? I checked go daddy it says it's available for .99 cents. It's just the name I think the info belongs to katie and would remain with her. We would have the domain name and have to start the site over. Annemarie - How would that work? Would we have to relocate all the content on the site and recreate the format? I'm so incompetent when it comes to computers, I wouldn't know where to start. Is there anyone on site who knows how we could keep COH up and running? There is money involved certain things have to be paid for and the technical part has to be taken care of. I understand that. Is there anyone on site who knows HOW to do it? If I knew how, I would do it but I don't.That's why I'm asking if anyone else knows. I had the same thing happen to me this morning. I just tried again to get on and somehow I was able to. When I couldn’t get on I was sent to a link that said what Lizzy saw too. The domain is for sale. Going further it said the domain would be ‘auctioned off” and the deadline is sometime in May. It also indicated there were three bids at think. No one has heard from Katie in months. She must have been alerted to the original message that we got about renewing the domain. I’m really surprised that Katie has not posted her intentions. This is very upsetting. I hope we can figure out something. I was thinking maybe we could bid for the domain name, but what happens to the content and the format? Would we have to re-create all of it? Could we do that, and if we could does anyone know how? I'm surprised, too, that Katie didn't post anything about shutting down the site. Both Annemarie and I pm'd her, but she hasn't answered. I have looked on line and I can't find an answer to what happens to the content. I have searched google and can't find the answer. Thanks annemarie for all that you’re doing to find out what’s going on. Should all of us send PMs to Katie. Do we think that would help? And has anyone noticed if others have been on the site today? As far as I can tell only PAN, Lizzy and annemarie. Donnamarie - It could be that everyone's having trouble logging on. Or it could just be that everyone's been to busy - we do have slow days. I was thinking that if it turns out that there's no way to save COH, maybe we could pick another Clooney fan site for us all to move to. At least we'd still be able to keep in touch. Lizzy do you know of any other sites. I think this one is the best I have been on. I haven't found one that I would join just too much hateful opinions for me. I have tried to get on to coh and I haven't found away. I'm only on because I book marked the page . I also sent a PM to Katie. Maybe she’s in a remote location with little access to the internet. I’m really baffled by this. That would be a possibility Lizzy for us to move to another Clooney fan site. I wonder if any of our readers on COH have visited other Clooney sites and if they have an opinion about them. I originally signed up on Clooney Aficionados before coming to COH back in 2013. But I ended up leaving rather quickly because I thought COH was a better fit for me. COH chatter about George wasn’t as hyperbolic and gossipy. I hope Pan can still get on . I was wondering about PAN too. Unless she’s traveling she usually checks in here regularly. She was on early yesterday morning. I’ll send her a PM and see if she responds. Annemarie - I bookmarked the site, too, but I think this link will work: clooneysopenhouse.forumotion.com The other day PAN said that's what she used. Do you think the site will stay open until the auction in May? Donnamarie - I haven't really tried any other sites. Like you, I think COH is the best Clooney site there is. I guess if there's no other choice we can find another site where we can all meet up. I guess we'll have to decide on one soon - before COH shuts down and we can't contact each other.